I see this picture of Hu Jintao, Vladimir Putin, and George constantly circulating on the Internet. Anti-Masons and conspiracy theorists alike claim that this picture was taken at a secret Grand Lodge meeting and that all those in attendance are secretly Freemasons. This claim is taken further, and said that they act like enemies, but as they are all supposedly Masons that they all serve evil and this is just part of the Hegelian Dialectic (manufactured conflict). They believe Freemasonry is involved with creating chaos in order to establish our order onto the world. How do you know Bill Clinton is a "non-Mason"? He was DeMolay wasn't he? He was also Jesuit educated wasn't he? On hearing the outcome of Clinton's election as President, DeMolay Grand Master Jerold J Samet said : I am proud to be an American and I am proud of the fact that we have, at long last, a Senior De Molay in the White House. Clinton also met a group from the Order of Molay of the Philippines to receive the Grand Master's Maltese Cross Award. So don't act like Cinton doesn't have any ties to the Masonry because you are being dishonest. Who was DeMolay again? Oh ya, the last Grandmaster of the Templars. You are a disgrace to the memory of the Templars AND the Rosicrucians. 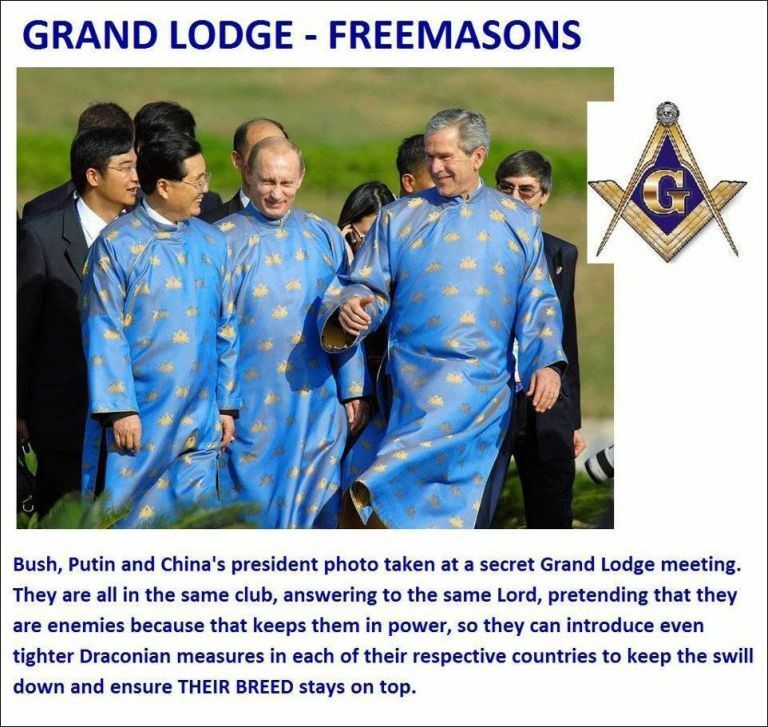 The enemies of these two groups control your precious Masonry. I'm actually a fan of DeMolay. It's you lot that I have a problem with that fail to see the obvious. DeMolay would roll over in his grave. We keep pretty goood records of all of our members. Bill Clinton was in DeMolay, but never joined a Blue Lodge. Being a DeMolay doesn't make someone a Mason; only a Blue Lodge can confer the honorable title of Freemason. Being "Jesuit educated" also doesn't make someone a Mason. How am I a disgrace? I am merely accurately portraying the information. The Order of DeMolay commemorates the name of Templar, it claims no lineage to the medieval order. Also, there is no direct connection between Rosicrucianism that emerged in the 1600s and the medieval Knights Templar. You can find Rosicrucianism in Freemasonry as well as Templar orders.